The first full-length album from Portland’s Priory is a delightful, catchy and wonderfully fresh record. The fantastic imagery is set up by smart lyrics in wonderful balance with the lovely harmonies and lush melodies. Put all that together and you get a record that is easily accessible to fans of a variety of genres, from pop to folk to math-rock to straight up indie. The production is top notch too, and the influence of Skyler Norwood (who has also produced Priory’s Expunged Records label-mates Blind Pilot and Horse Feathers, among others) is both obvious and very much welcome. The first single “Kings of Troy” is an excellent entry point for the uninitiated and serves as a great example of what else you can expect to find on this refreshingly fun record. Already huge local favorites in their native Pacific Northwest, here’s to hoping they hit the road to spread the love around and continue making this sweet, sweet music. 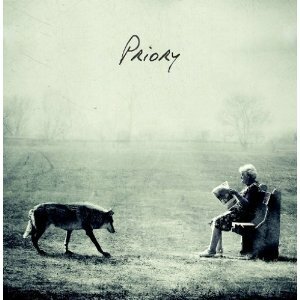 Priory’s self-titled full-length truly is a pleasant surprise and makes this a band to keep an eye on. Download Priory’s “Kings of Troy” MP3 HERE!